We take you to the top of the hill. 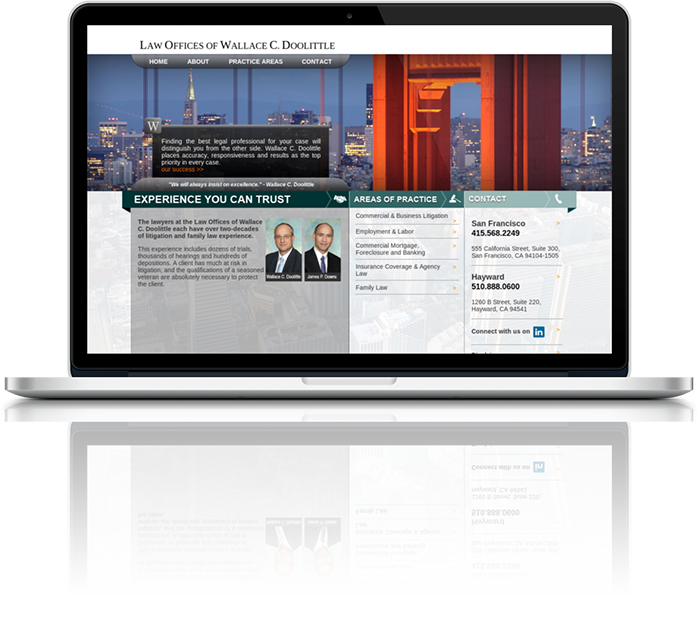 Cable Car Web Design is committed to providing San Francisco, Bay Area companies an opportunity to get on the web with minimal hassles and maximum results. Not surprisingly, many small businesses are sometimes intimidated by the jargon of the web industry and therefore have not built a website for their company yet. We are here to help with friendly, easy to understand assistance that will insure your entry into web marketeting is successful! If you've been thinking about low cost, affordable web design for your San Francisco, Bay Area company and/or starting a new business, here is the perfect affordable web design opportunity. Start-ups are welcome (stock trades considered). Cable Car Web Design low cost websites are usually cheaper then a yellow page ad. 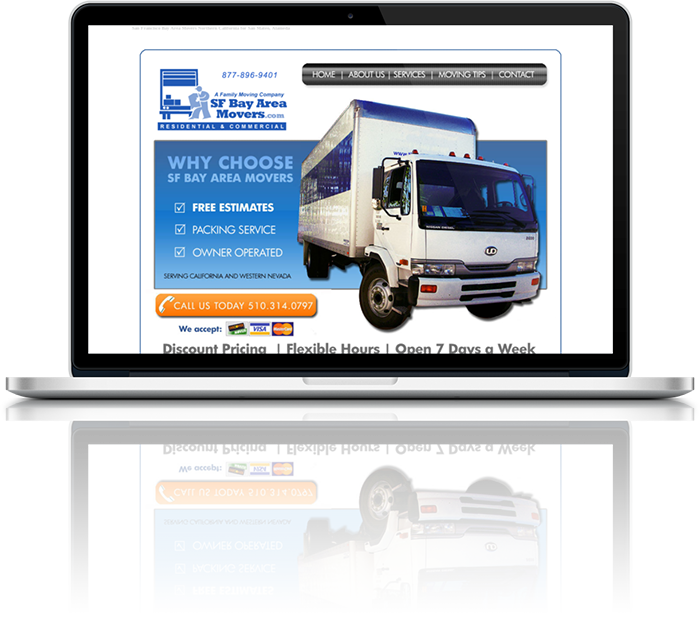 With Cable Car Web Design, you only pay for your website once! As you know, yellow page ads only last for one year. But, your affordable Cable Car Web Designed website will last as long as you wish. The only other fees are hosting fees; normally around $35/Mo after the first year. This makes your Investment and ROI last much longer! 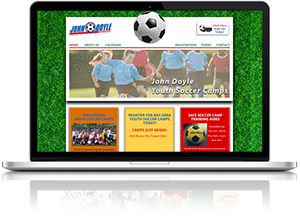 Get started on your new low cost, affordable web design now. Use our short Contact Form or Call (510) 726-9902. For just the low cost of $2,299, you can have a full blown 5 page website, with e-mail, hosting, stats, milled search engine optimizing, etc. And...YOU own your website! No surprises when you try to re-host your website somewhere else. Although we hope you stay with us and 99.9% of our clients do, there's nothing like trying to move your website, only to find out you don't own it. Call us for payment plan options: For Local, San Francisco Bay Area Web Design, Hosting and SEO call local:(510) 276-9902, or toll free: 1 (866) 797-5656. Tip: READ all small print when shopping for website and hosting companies. 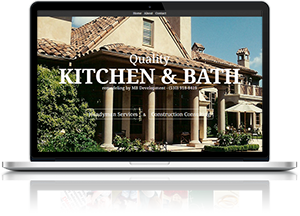 There is no better low cost web design out there. Turnkey Package - all cost included! All websites are built in the USA. Most major credit cards accepted. 50% down, 50% at launch. Work with a team you can grow with when you’re ready. For just the low cost of $2,299, you can have a full blown website, with e-mail, hosting, stats, milled search engine optimizing, etc. And...YOU own your website! No surprises when you try to re-host your website somewhere else. Although we hope you stay with us and 99.9% of our clients do, there's nothing like trying to move your website, only to find out you don't own it. 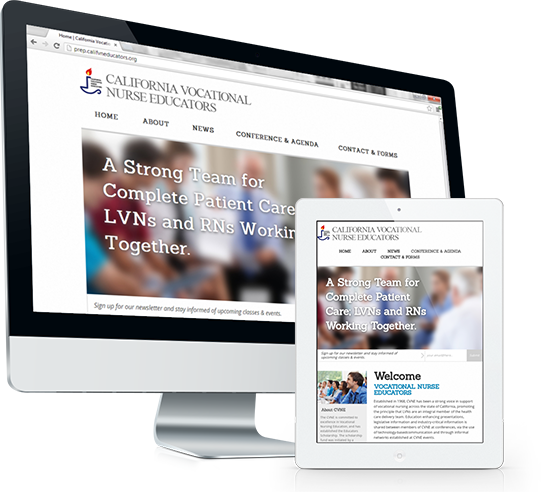 Established in 1968, CVNE has been a strong voice in support of vocational nursing across the state of California, promoting the principle that LVNs are an integral member of the health care delivery team. Education enhancing presentations, legislative information and industry-critical information is shared between members of CVNE at conferences, via the use of technology-basedcommunication and through informal networks established at CVNE events. 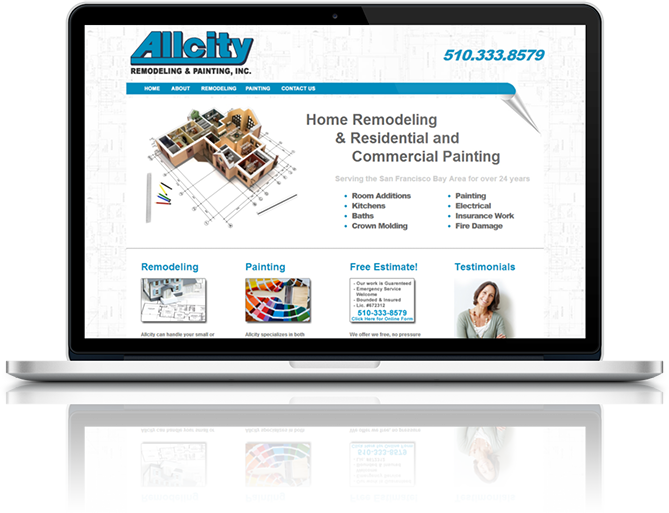 Allcity Remodel is a Residential and Commercial Remodeling & Painting company located in the San Francisco, Oakland, San Jose, and East Bay Area. Aqua Blue Pool Service has been providing outstanding pool maintenance for the East Bay since 1997. Whether you are looking for a regular pool service provider, a one time cleanup for a party, or one of our other services, you will find Aqua Blue Pool Service to be a great partner in the care of your pool. We are a family owned moving business in the East Bay that provides friendly, personalized Bay Area moving and storage services for commercial and residential customers. Full service moving including packing, cleaning, organizing. The lawyers at the Law Offices of Wallace C. Doolittle each have over two-decades of litigation and family law experience. This experience includes dozens of trials, thousands of hearings and hundreds of depositions. A client has much at risk in litigation, and the qualifications of a seasoned veteran are absolutely necessary to protect the client. A website has to live somewhere and you don't want it on your computer. Why? Think your spam is bad now? Wait until you host a website on you PC or MAC. Websites are hacked on (try too) constantly. You really don't want this havoc on your machine, plus you probably don't have the bandwidth (through put) on your computer anyways, To be blunt, hosting your own website is a really dumb idea; trust us on this one. We charge from $19-$950 Mo. Most websites are $35/Mo. 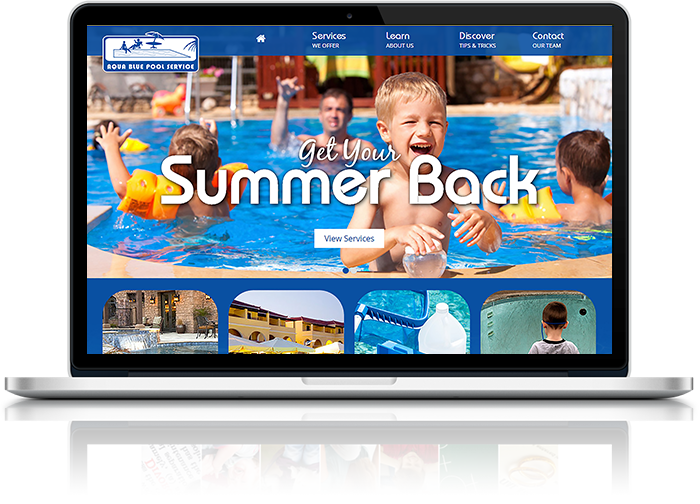 The first 12 months are FREE with the purchase of a new website. Hosting with Cablecar will provide a shield between you and your website visitors. Who owns the website I pay for? YOU DO! Yes, if for some reason you're not thrilled with our outstanding customer service, you can take your website and leave, hosting it somewhere else with no threats and no license violation concerns. However, we do not offer refunds. All sales are final. when I can go to someone else and get a website for under $500. 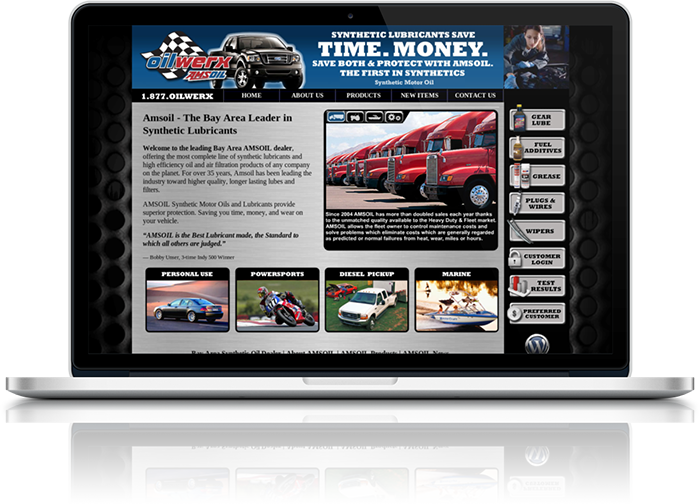 We build custom designs that fit your company, not canned template sites seen all over the web already. We answer the phone and e-mail. We respond to your request and needs in a timely, efficient way that insure online success..
Cable Car Web Design is a subsidiary of KO Websites, a premium Bay Area web design, Web Hosting and Bay Area SEO company working with multimillion dollar companies. In fact, most of them started as small companies too. Now, after 10 years of great service, they're up there making major dollars and a lot of it is coming from their websites. Don't believe? Call them and find out. "It doesn't matter how pretty your website is, if it can't be found. Not on search engines? Then you simply don't exist." Search Engine Optimization (SEO) is the MOST overlooked aspect by new companies going to the web. SEO stands for "Search Engine Optimization" (aka optimizing) which is an editing and coding process that makes your website place higher on search engines like Yahoo and Google. Search engines require a very specific criteria of web editing to gain a high ranking. The fun part is, they keep these criteria and requirements a secret. That's where we come in. Besides using best 2.0 web practices, we find other ways to improve your position through special coding and editing. More about SEO. More SEO FAQ's. How fast can we work? Outcome: The site was live by the time the client woke up and checked his home PC on Monday morning at 6:30am. The rest of the day and week went very well for the new client. This is not the best way to build a website, but sometimes you have to move fast and we can do that when needed. The business cards were delivered a couple of weeks later. Why does Cable Car Web Design Exist? We at KOwebsites.com started out doing these types of websites back in 1998. Then we started to grow with our clients, building higher-end, more complex web products. It was good for our common growth and wealth, but took some of the fun out of it too. Then we had a thought...Why turn away our potential NEXT big clients? So we started the Cable Car Web Design Company. We added this division to provide quality inexpensive web design, with all the necessary components that make a small website have a viable chance at success, including search engine optimizing and quality hosting. No one offers a full complete package like this anywhere in the world! Well, we certainly have our own ideas, but if you're tight with money, we always ask..."How much do you spend on your yellow page ad per year and/or newspaper ads? Take both of those together and that would be a good web budget to start with. Remember, once you pay for a web site from a reliable company like Cable Car, it's yours to keep. We don't fee you to death. 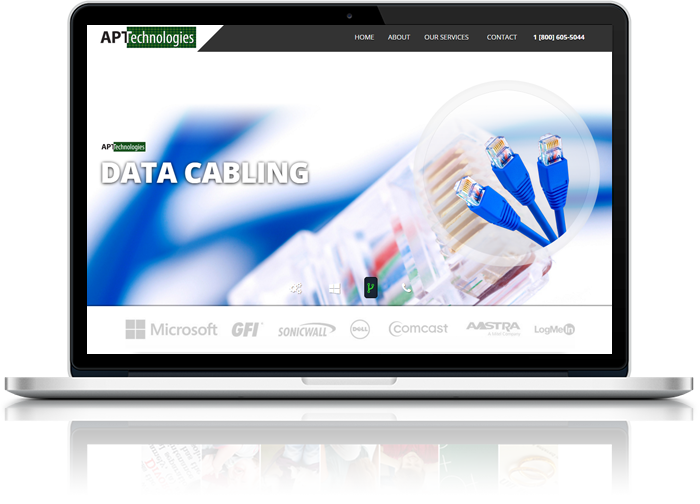 Only hosting fees and annual domain cost occur once the site is completed and paid for.